No. Imagine that both parts (tube anc head) are square outside (or hex). If parts are first lathed, and then milled on another machine, this flat surfaces wont fit each other. I.e. you will be able to find position when they are synchronized but when you screw them all the way they wont fit. You can avoid this bug if you have combined lathe/mill machine with stepper motor or precision position sensor on main lathe axis. Looking to the picture of the K6 as example, the “raised” groove in the middle should always align with the side switch, in this case, independently of the batteries used inside! Is that the idea? “combined/synchronized machining of head and body threads to enable precision and alignment of the 2 parts when screwing them together till the end” ? I would stick to the main idea , 6* xp-l or 6*sst-40 (even better) on a copper DTP mcpcb with a quality boost? driver , or even a simple fet driver . I would really like to see springs bypassed on this production light , Q8 proved that bypasses are a must . Second thing is brass screws holding the springs pcb , really makes a difference (3rd photo of Tom E’s post here) . I would be interested in testing and writing a review too , thanks ! I would stick to the main idea , 6* xp-l or 6*sst-40 (even better) with a quality boost? driver , or even a simple fet driver . I don’t know it it would be the first as the FW3A will probably have it! But I can put it in the suggestions ! Following your message yesterday, about the interest list, you want to be put in it? I got this info from Sofirn too from Aliexpress. I hope I’m in the testing team I wrote my suggestions to them at there. Mainly I suggested them to move to make a different kind of light like a triple led tube form 26650 light or something else because this is very close to Q8 but Q8 is on sale months ago. 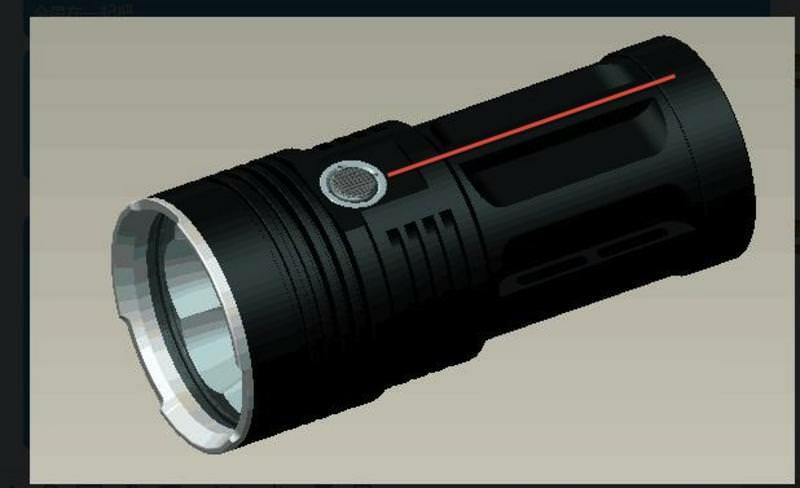 This could be a good light because the UI is pretty good and I hope there will be a lot mass in the head but Q8 mostly filled the requirements for this type of light. I would like to see 2 options, XP-L HI and Nichia 219C. Copper DTP MCPCB is must have. I am interested in doing test and review if available.. I asked if it is electronical os physical. In this 4 parallel setup I think electronic is not enough as we saw in Q8 topic. advanced users also get tired and sometimes by mistake one battery reversed and caused melting springs. plastic rings can avoid this on the positive end on the PCB. The spring PCB at the negative side should be made with very very big traces for high current! I’ll be interested if they dump the reflector and go for Carclo optics with 3×4 emitters, and a driver that can supply it plenty of current and still have a great UI. Two emitters options isn’t a bad idea. XP-G2 or G3 for the budget option, and XP-L HI for the lumen hungry, maybe a third Nichia option. Really, just go for one of the BLF drivers. Forget all the development hassles and adopt something that works and is loved. 4 emitters aims it at the Q8, and that’s a battle it’s going to lose. 6 emitters might be 50% better on paper, but barely perceptible by eye. 15k+ lumens would make this light stand out, and Nichia emitters are another way to make it special. Thanks! And about polarity protection: I asked if it is electronical os physical. In this 4 parallel setup I think electronic is not enough as we saw in Q8 topic. advanced users also get tired and sometimes by mistake one battery reversed and caused melting springs. plastic rings can avoid this on the positive end on the PCB. The spring PCB at the negative side should be made with very very big traces for high current! Good point this one! I only have a “big” light with multiple batteries but never thought about this! Thanks! You a little bit misunderstanded me. For polarity protection it needs plastic rings on the driver that blocks contact with negative side of battery if one reversed. The big traces is a separate thing. I told it because of the sheer output and current what 6 leds need. Not sure about the spex. Is it 2S2P as in “4.2V-8.4V”? The contact ring of the Q8 would be fine as long as using button-tops, but you’d need to fix the tube relative to the head just like in the TK4A/SF11 with 2 prongs or a similar keyed mechanism. I’m fine with the Q8 way, as I just got more BTs. I need-need-need something warmer. I’m getting tired of 5500K and cooler. Throw some 4Cs/4300Ks in there, or some 4500K Nichias. Make a WW option, too. 3000K at night is wooooonderful. Killer idea? TIRs!!! If you’re machining a solid chunk of aluminum for a reflector, you can just as easily, maybe more so, drill some simple cylindrical wells for some nice 20mm TIRs. Or with a wide enough head, use 26mm TIRs instead of the usual 20mm TIRs. No more fried-egg beams! With TIRs, you can swap them in/out to your heart’s content! Want a wider flood? Throw some 60°s or 90°s in there. Want a narrower beam for better throw? 10° or even 5° should work wonderfully. Dunno if any other mfr has done this before, so Sofirn could be the first! But definitely, warmer colors. 4500K is low-stress on the eyes, and TIRs mixing the colors and all but eliminating tint-shift would really make that shine (haha). Oh yeah, more even mode-spacing in discrete-step modegroups. They seem rather bunched up towards the high end. Big-bore tube with a dummy spacer to keep the cells properly positioned? Yeah, that sounds good, and a contact ring for the (+) ends is easy, but how would you position the springs for the (-) ends? Especially 3 vs 4? Or use indexing prongs like in the TK4A/SF11 to keep the tube fixed relative to the head when being screwed-down. Any keyed/indexed system should work. Mainly I suggested them to move to make a different kind of light like a triple led tube form 26650 light or something else because this is very close to Q8 but Q8 is on sale months ago. A tube that’d hold 3× 26650 cells, and a head that can hold 3× 26mm TIRs. Perfect match! 4 emitters aims it at the Q8, and that’s a battle it’s going to lose. 6 emitters might be 50% better on paper, but barely perceptible by eye. Bah. Too many emitters on a crowded reflector means that most of the reflectorlets will have so many cutouts on the side as to make them more for flood than throw. I’d say stick with fewer but intact reflectorlets. leaftye, Lightbringer, ZozzV6, contributions added! It is quite difficult, sometimes, to perceive what is a direct suggestion or what is an objective “question” (with or without answers), so if you see that something important was said and is missing in post #2, let me know! So they want to make a soda can light. I would suggest using a different battery tube than the default SRK battery tube, just to distinguish themselves from the many many cheap crappy clones with the same battery tube design. I guess FET DD drivers sell because of the wow factor on a freshly charged cell, but i would like to see a current regulated driver. With 1S4P battery config you can supply 7× 3535 LEDs with the necessary current. Not overdriving them will give better efficiency too and it will stay in regulation until the battery runs low, especially with low Vf LEDs. High CRI Nichia would be nice i.m.o. The right TIR optics would eliminate tint shift when you want to use LEDs like XP-G3, and it’s probably cheaper than an aluminum reflector plus glass lens. They could use a 7 in 1 TIR, like the DQG 3rd 26650. I guess though, that traditional reflector + lens will sell better, because people expect an aluminum reflector. With a (regulated) FET driver in stead of a buck or boost driver, the driver board can be flat. So in all, they could make it a short, compact light. Maybe they should use 3x or 4x Luxeon V and drive them hard and get close to 6000 or 8000 Lumen. Yeah i would like to review it if they want me to. You get those silly petals in the spill too, when you cut away parts of it. Or more and in tact, like 7, with smaller die LEDs. For basic consistency it must have the same way to turn OFF in all groups. And fast click is preferable. Interested to do a review, compare it with Meteor. Can do it on Fonarevka. +1 on jerommels idea. Change the outer tube design to not look like any cheap SRK clone. Make it a big block knurling or big diamond shape but not the SRK.